The average cost to build a deck is $5,500-10,000+, depending on the materials, accessories and design features you want to have. Compared to an addition or attic, building a deck costs a lot less, but provides one of the top ROI’s of all remodel projects. There are a number of factors, such as: your location, the materials you use, deck design, etc that will impact your return on investment. Here are a few tips to keep in mind, to ensure that you get the most bang for your buck. What Is The Average ROI Of Building A Deck? According to Remodeling Magazine’s Cost vs. Value Report, a homeowner can recoup an average of 80% of the cost of building a new wood deck, during resale. For example, if you construct a 16-20 foot wood deck and spend $10,050 on professional construction and materials, you can expect to get back about $8,090. Compare this with 78% recouped for a bathroom remodel and 69% recouped for a family room addition. However, its important to note that the ROI goes down significantly, if a deck is built using composite, as opposed to wood materials. The Cost vs. Value Report found that a similar 16-20 foot composite deck, which cost $15,900, recouped $10,800, a yield of about 68%. An even more expensive and fancy composite deck, which cost $36,380, recouped $21,400, a yield of about 59.9%. In addition to the straight forward dollar-to-dollar value, its important to consider the overall attractiveness that a quality deck has to most prospective buyers. It greatly increases the curb appeal of your home, its perceived comfort and living space. This ultimately translates to more offers and a faster home sale. 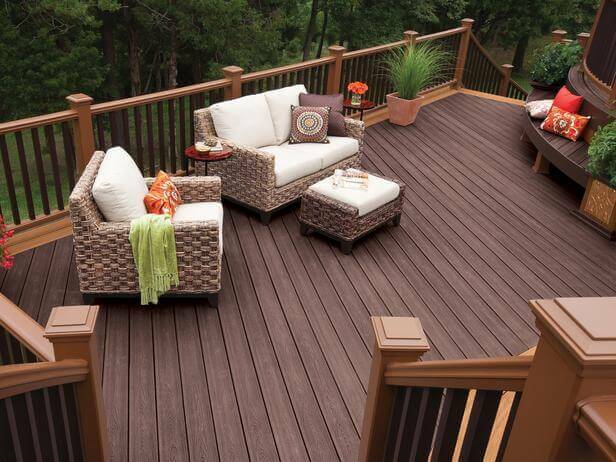 As mentioned before, your decking material will greatly impact how much you can recoup. Quality wood materials have the highest ROI, and composites are about 15-20% less. You can use our calculator to estimate the cost of building a deck using different types of materials. To have the greatest value, your deck should be big enough to use as a comfortable entertainment space. Most people want a deck to enjoy barbecuing and sharing meals with their family and friends. This means that it should easily fit a grill, a large table with chairs, and perhaps some storage. If your house is located in a region that gets warm weather and sun year round, such as California, Texas, Florida, your deck will be a lot more attractive to prospective buyers. 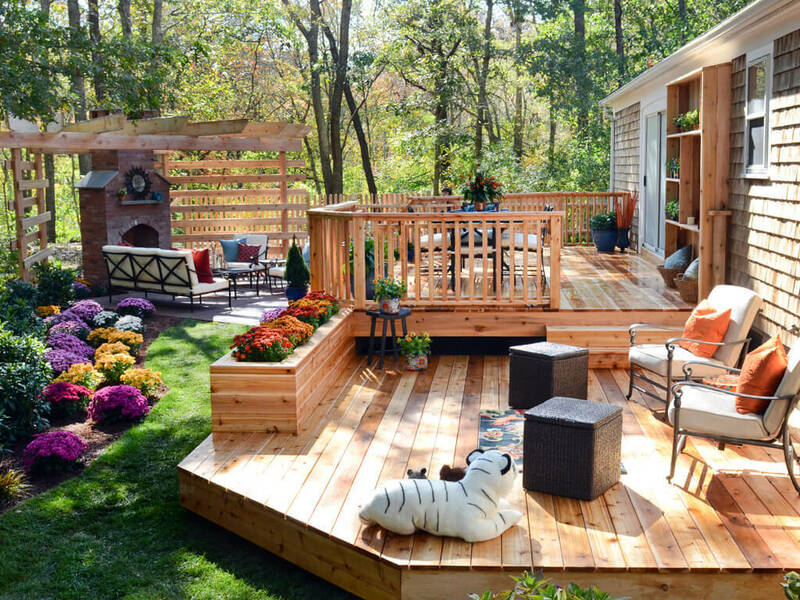 Alternatively, in cold regions, which only get a few months of decent weather throughout the year, a deck may not be an appealing feature that buyers would pay top dollar for. Access to your deck plays a big role in determining its overall value. If its easy to access from the first floor kitchen or living room it may be a lot more impressive to people, than a deck built off of a master bedroom on the second floor. Kitchen access is most desirable, because it makes it easy to bring food and other items in and out, when you are entertaining family and guests. If your deck has an exceptional design, additional features and accessories that make spending time outside more fun and enjoyable, its likely to get a lot more attention from prospective buyers. This wow factor may be the tipping point that will influence someone to want to buy your home. 1. A deck is an overall solid investment that increases the value of your home, even in a down housing market. You can expect to recoup at least 70-80% of your building expenses when you go to sell your home. 2. If you plan to put your house on the market shortly after your deck construction is complete, you may want to opt for a less expensive structure. You will not have time to enjoy it and if you spend too much, you will not be able to recoup the full cost of a lavish deck. 3. When planning your budget, take into consideration the size and value of your house. If you have a small to mid-size home of average value, it does not make sense to splurge on a huge, expensive deck that does not fit the scale of your home. On the other hand, a large expensive house calls for a deck of equivalent size and quality. 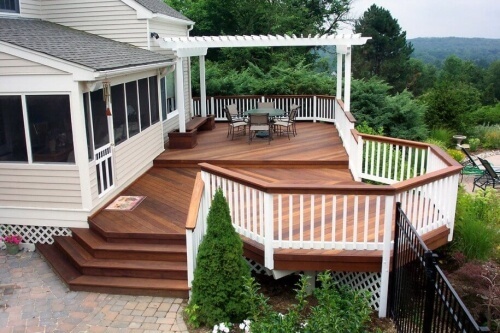 As a rule of thumb, your deck should be no larger than the largest room in your house. This can ensure that it is proportionate to the rest of your living space. 4. Check out the decks that other homes in your neighborhood have. This will give you a good idea of the standards that exist in your area, which will help you determine the best materials and design of your own deck. 5. It is best to contact at least 3 local contractors to get estimates for your project. Negotiating with contractors and making sure you are hiring an experienced and licensed professional will ensure that you will get the best value for your money. You should be prepared for the scenario where your property taxes may go up after your deck is complete. In some towns, you can even incur a tax increase if you remodel an existing deck. When the construction process is underway, a rep from your town’s building department will come in a few times to do an inspection and ensure that everything is being done according to building codes and restrictions. 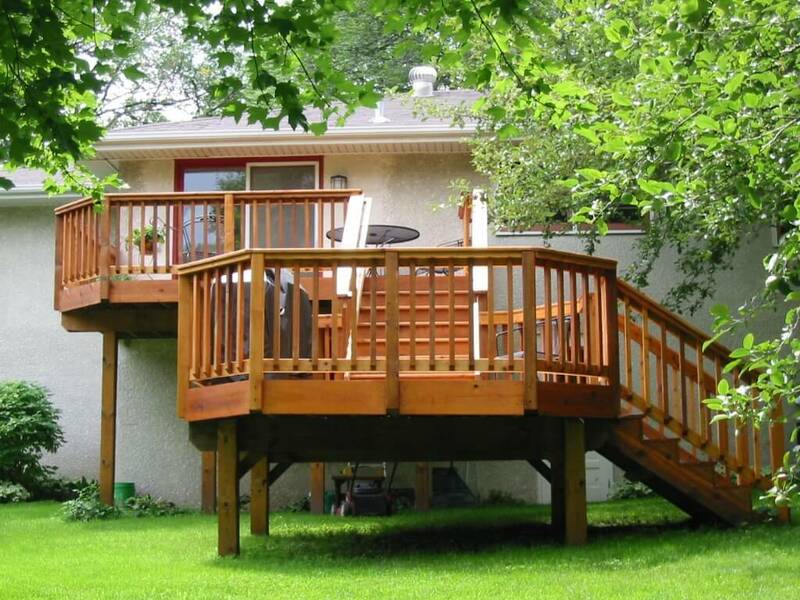 After your deck is finished you will receive a written notice that it has passed all the necessary inspections. The best way to estimate any tax increase is to contact your local tax assessor’s office, provide them the scope of the building project and ask for an estimate of the new tax amount. It is important to ensure that your deck is covered by homeowner’s insurance. Once deck construction is complete and you receive a Certificate of Occupancy from your town’s building department, you can contact your home insurance company. Let them know how much you paid for the deck, so that they can increase your policy to reflect this added cost.